Vous trouverez sur cette page différentes offres d’emploi liées au BIM. Vous pouvez proposer une offre via le formulaire.  Orienté performance, vous savez analyser les priorités et structurer une vision stratégique sur les actions à mener. En tant que spécialiste BIM, vous êtes capable d’orienter un projet BIM dès la conception, d’anticiper les spécifications liées aux objectifs BIM attendus. • En collaboration avec le BIM Manager de la société, vous prenez les rennes du BIM sur un ou plusieurs projets. • Vous participez à la rédaction des différents documents BIM. • Vous chapeautez les BIM coordinateurs et modeleurs du projet. • Vous dialoguez avec les représentants BIM des autres partenaires de projet. • Vous encouragez l'utilisation du BIM et les meilleures pratiques à tout moment. • Tout ceci dans le but de pouvoir assumer le rôle de BIM Manager ou BIM Discipline sur un projet. • Vous disposez d’un diplôme d’enseignement supérieur en architecture ou ingénierie. • Vous montrez un réel intérêt pour le BIM. • Vous connaissez des logiciels dédiés BIM. • Vous utilisez le logiciel Revit d’Autodesk. • Vous êtes capables de prendre en main l’organisation des réunions BIM de projet. • Organisé, vous êtes capable de gérer votre travail dans des situations stressantes et d’en hiérarchiser les tâches. • Vous veillez à la qualité de votre travail. • Vous êtes capable de vous adapter facilement à une équipe. • Un emploi au sein d’un des plus grands bureaux d’architecture de Belgique à la pointe du BIM. • L’intégration dans une équipe dynamique, et une formation continue. Envoyez votre CV et lettre de motivation à hr@assar.com en spécifiant le poste pour lequel vous postulez. En tant que BIM Modeler, vous faites partie d’une équipe dynamique basée à Bruxelles. Vous êtes responsable de la modélisation toutes phases confondues en vue de sortir les livrables. • Après une période d’adaptation et d’intégration à divers projets en cours, vous serez responsable de la modélisation sur un ou plusieurs projets. • Vous modélisez conformément aux demandes du chef de projet et veillez à respecter les normes des plans d'exécution BIM. • Vous générez les livrables. • Vous propagez les bonnes pratiques au niveau de la modélisation Revit. • Vous encouragez l'utilisation du BIM et des meilleures pratiques à tout moment. • Vous disposez d’un diplôme en dessin d’architecture ou de construction, d’un diplôme d’architecture, ou d’une expérience probante. • Vous avez une expérience de modélisation architecture avec logiciel Revit d’Autodesk. • Organisé vous êtes capable de gérer votre travail dans des situations stressantes et d’en hiérarchiser les tâches. Possibly also form and guide colleagues in France, the Netherlands and England. Propose and execute improvements of technical processes to advance our success rates and profits. Collaborate on projects to innovate our products, the production process and our sales techniques. We are offering a position within a young and dynamic team at a stable company, a salary based on your competency and long term carrier opportunities within the group CRH, a global leader in building materials. This function has a strong potential for growth. Your tasks and corresponding responsibilities will evolve over the coming years. U will receive the necessary guidance and training. U will get the change to put your mark on the future of Plaka Group. 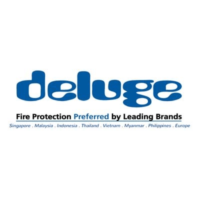 The Deluge Group is a Specialist Fire Protection Engineering Contractor for the last 34 years with its +30 current offices in Singapore, Malaysia, Indonesia, Vietnam, Myanmar, Europe, providing the service of Design, Supply, Procurement, Prefabrication & Installation, Testing & Commissioning of various Fire Protection Systems in the commercial, industrial, Oil & Gas, Power plant, chemical and offshore segments. Deluge utilizing AutoCAD for base designs and Revit operators when BIM is required, in combination with various Hydraulic Calculation programs to determine the best balanced water and gas based Fire Protection Systems to customer needs. As Revit Design Engineer you are part of our engineering dynamic team, located in Singapore. You are responsible for 3D Revit modelling, delivering and reporting to Design Manager. You are someone who can think critically with the other members of the team, come up with solutions, respect deadlines and communicate openly. Design and shop drawing preparation & submission of automatic fire sprinkler systems. Prepare shop drawings from contractual drawing issued by main contractors’ assigned projects. Prepare preliminary schemes, penetration drawings as needed. Be able to produce pipe schedule hydraulics of his assigned project. Have understanding of equipment used in connection with each project. Prepare reports to Design Manager of deviations from original Tender drawings. Provide clear path of communication & coordination between his counterparts and superiors. Any other duties that may be assigned by the company. 2+ years design and drafting in fire protection industry or related trade advantage is required. ITE-industrial Technician Certificate (Architectural Design) or Diploma in Mechanical/Electrical Engineering.is required. Proficient in computer software AutoCAD 2D, and REVIT software to perform MEP design drafting works. Proficient in standard drafting techniques. Familiar with piping & instrumentation diagrams (P&IDs) and capable of providing input to P&IDs with regard to piping, equipment, valves, specialty items, tagging, connections, etc. Working knowledge of Fire codes and Technical directives. Our organization has dynamic multi-cultural working platforms with many growth possibilities. We offer you an attractive salary and an extensive package of extra benefits. Dans le cadre de l'expansion de son équipe BIM francophone, Geo-IT est à la recherche d’un talent en logiciels BIM. Envoyez-nous votre CV et motivation à info@geoit.be. Arcadis is the leading global Design & Consultancy firm for natural and built assets. Applying their deep market sector insights and collective design, consultancy, engineering, project and management services they work in partnership with their clients to deliver exceptional and sustainable outcomes throughout the lifecycle of their natural and built assets. As Building Information Modeling (BIM) Coordinator you are part of a new and dynamic team, located in Brussels. You are responsible for model delivery, reviewing and coordinating and ensuring that company ad project standards are maintained on all deliverables. During the different phases (design, tender and execution) of the building project, you are responsible for the total coordination of BIM within one or more disciplines, for example stability team, electricity team or HVAC. You are responsible for the correct follow up on the planning and phasing resulting from the BIM plan. You coach and guide all involved employees with the implementation and application of BIM. You liaise with the project team, client and consultants to review all BIM models for the project and make any necessary amendments. You are responsible to guide a project team through the BIM process and provide ad hoc assistance to the wider practice when required. You make proposals for any design adjustments to be made, and discuss and consult with the relevant members of the team. You combine the federated model, made up of the merger of the different aspect models of the various disciplines involved in the construction process, using certain protocols, programs and structures. You check if the models are in line with the objectives and conditions and ensure compliance with the BIM Execution Plan. You ensure compliance with ARCADIS drafting and BIM standards and national drafting and BIM standards throughout projects. You check the different aspect models on consistency. You monitor the implementation of possible adjustments in aspect models. You generate graphical or (alfa)numeric output for the benefit of production. You control, monitor and steer the BIM process with the necessary tools. You promote the use of BIM and best practice at all times. You continuously review the optimal BIM related software. You have experience of BIM processes and are capable of sharing and coordinating a variety of disciplines within the BIM environment. You are able to act as the technical hub in the BIM process. You have the capability to use upwards of 2/3 BIM software programs. You have the ability to apply your design experience to the models produced. You have the capability to use ICT tools for viewing and coordinating the BIM. You are able to set up and coordinating a BIM Protocol and Execution Plan for a given project. You are a strong team player and are able to steer multi-functional teams. You are able to handle yourself in stressful situations and prioritize tasks. You are detail oriented in combination with a strong eye for quality awareness. You are a strong and confident communicator with good written and oral communication skills. You are pragmatic and have a hands-on mentality. You have strong analytical skills and are able to analyse problems fast and efficient. You are a creative spirit with strong self-discipline. Please send your candidacy to ine.eeckman@crossint.eu.